The following product links are for items that we purchased ourselves in case you're interested in trying them out (no affiliate links and no sponsored items). 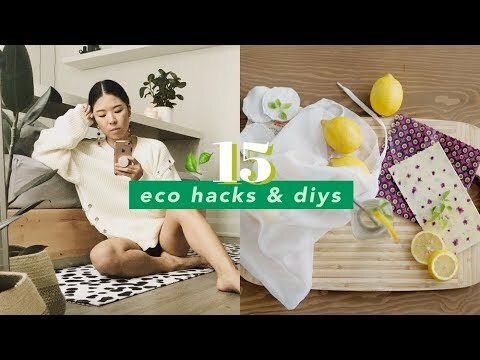 Thank you to all of the people, stores, and restaurants who let us film inside their spaces, and who've helped us reduce our waste!!! The amount of garbage I produce solely is big as I only drink water from plastic bottles. I wish that I could take part in this and keep my waste to a minimum as I grow worried about nature day by day. LOVE your tip about treating people well! I feel like that is one of the less often talked-about parts of choosing to live in an environmentally sustainable way. The way we represent these choices is how people perceive the entire lifestyle. KINDNESS goes a long way! Thanks for the tips! By the way, I have Celiac disease, and so the breads I buy aren’t often available in the bakery section (and all the local bakeries are wwaaaayyyyy too expensive for me to be able to buy, and gluten free bread can be expensive to bake), and the breads I am able to access are often prepackaged. Has anyone found a gluten free bread in a better package? If there isn’t one I’ll just see about reducing my bread intake and baking what I do eat. If you can, get Biobags! They’re recycled compostable trash bags; you can throw your food waste in them and compost the whole bundle. Or you can just use a paper bag, or just use a bucket. Also, for removing glue, citrus essential oils and coconut oil also take labels off. Depends where you live. I live in an area of Florida and there are no bulk food stores. I try to find products that are not packed in plastic. These are great suggestions, however, but have to be modified depending where one lives. Some stuff I'm not going to do…buy food out, take stuff to pack it in if I want to bring some home? No way. Reducing waste needs to not be too time consuming. I like the cutlery suggestion…but would add that if you regularly get "to go" beverages or have small kids who often use drinking straws, invest in either a stainless steel reusable straw or a package of paper recyclable straws. Just tell the drive-up window person that you do not need a straw. Awesome video! I've downloaded ecosia, thanks so much! One of my big inspirations. Canada Dry ginger ale in the small glass bottles. I pour filtered water in them, refrigerate some, keep some at room temp. Easy way to make sure i drink water, too. Also fill them with almond dark chocolate silk. Freeze or refrigerate to go. Yum. Plastic bottles are all over work area. Cut off top, poke a hole, hang on hook, and fill with nails, Wd-40. Everything is right where you can see it. My bug stuff is in one right next to the doors! Hi where do I order a compost bin? Never would have thought of taking my own containers for leftovers when eating out. It may seem weird/awkward but it's a great idea. Even if the place uses compostable packaging it's still saving a box or two. I'm doing some of the things already, I have reusable shopping bags, I do not buy bottled water, I pack my lunches in glass, I recycle religiously, but I live in Malaysia and there are no bulk shops or similar thing here, also grocery stores do not allow own produce bags and they put big stickers on the thin plastic ones at the weighing stations so they tear when you try to take them off. 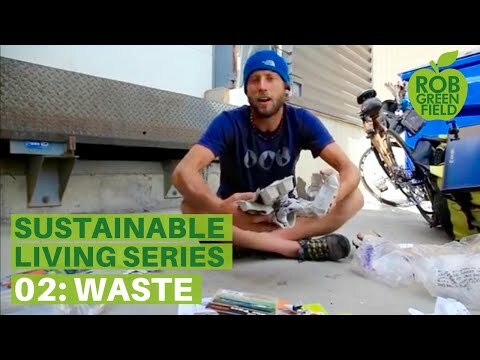 People do not realize it, but it really is next to impossible to do zero waste in most parts of the world. There has been no recycling in this country even 10 years ago. 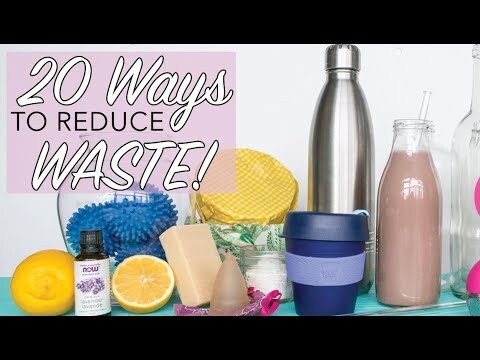 I really wish we can go completely without waste, but I would settle for no plastic first! I'm trying to raise awareness here, there is now a petition to ban plastic straws in my area. Hopefully baby steps and we will get there. Instead of wetting the label, try filling the glass with nearly boiling water and let sit for a moment. Most of the time, the labels peel right off even in the stickier situations. I use cloth/nylon bags when I remember them..I did today. I want to look into those produce bags. Great product. I reuse my plastic bottles quite a bit and just picked up a 12 hr cold drink bottle for summer. Love it!!! I filter my own water 99 percent of the time. Zero water jug. As long as I keep trying…that important.